Getting ready for an international relocation to Canada can be a very exciting, but also a very stressful time. You have hundreds of things to do before your move and so it is important to try and get yourself as organized as possible beforehand. By comparing quotes, you can easily see the different services and additional value that different moving companies they can offer you. Additionally it will allow you to choose the right company to suit your needs and your budget. Avoid all the searching and chasing around, and compare quotes from international movers for Canada now. 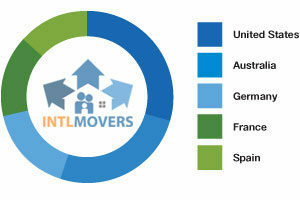 International movers in Canada are logistical specialists. Their main business goal is ensuring safe, cost effective and efficient relocation of your goods to and from locations all across Canada.